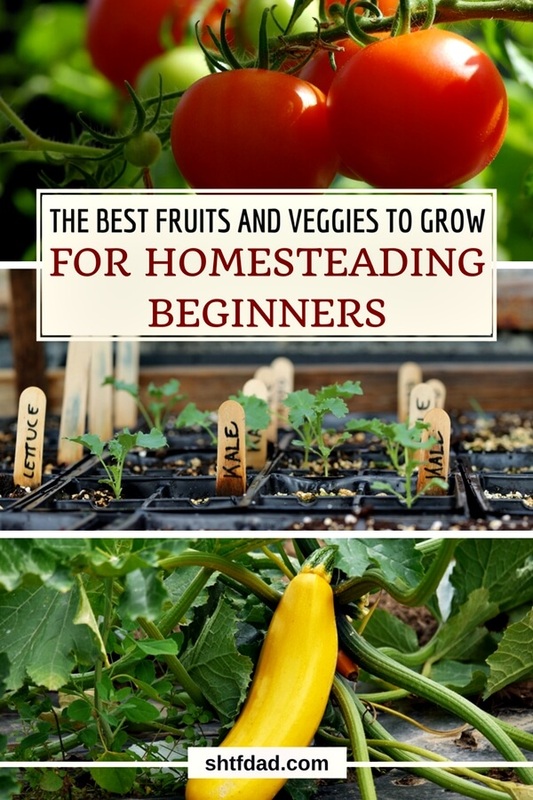 Knowing the best fruits and veggies to grow is important for every beginner prepper. After SHTF, food resources will become more and more scarce as survivors use up any remaining food they have stored or scavenged. As a dad, one of my biggest fears is to not be able to provide for my children when SHTF or when things go wrong. I’m not sure if I have a green thumb, but knowing what I can easily grow and help sustain my family with makes me feel safer. Gardening has clear health benefits, not to mention that your knowledge will be very valuable when money ceases to be of value. You can learn gardening by trial and error. But why struggle when you can learn from others, by just reading a book? 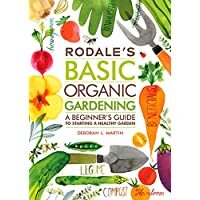 Here are 3 beginner gardening books to get you started. See how to use baking soda in the garden for better crops. 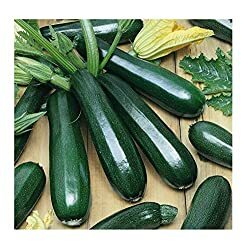 David’s Garden Seeds Zucchini Black Beauty SL149QU (Green) 50 Heirloom Seeds Perhaps the best no-fail vegetable to grow for homesteading beginners is the zucchini. Known to be very low maintenance as well as very prolific to a fault, zucchini grows in almost all types of soil and all climates. This makes it a great post SHTF crop. Don’t let your zucchini grow too big. Freeze the excess for later for soups, bread, and sauces. Zucchini can be grown in pots and rooftop gardens. Try growing zucchini vertically no matter if you live (in the city or the country), as extra prepping training for yourself. After all, your goal is to get the most production from the smallest plot of land. If you live in a cooler climate, growing kale is one of the easiest. Besides being extra nutrient dense, kale is good as a crop plant because it is resistant to cold, heat and bugs. That makes it better than spinach and lettuce as a smart choice for homesteading and prepping. Kale Tip: cut the top leaves off of your kale plants to facilitate growth and keep the leaves tender. This also helps produce more kale (by weight) from the same amount of space compared to kale which is just allowed to grow as it wants. 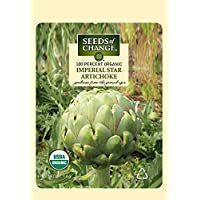 Seeds of Change S21052 Certified Organic Artichoke Imperial Star Growing artichokes is a great way to save money and have some good eats. Artichokes grow in almost all climates and can survive in areas with really cold weather. They are easy to grow and you can reuse the same plot to plant them year after year. Artichoke Tip: Artichokes are some of the most expensive vegetables. Plant some and try to sell for extra money. Use the extra dough to get more homesteading supplies or to plant more artichokes! 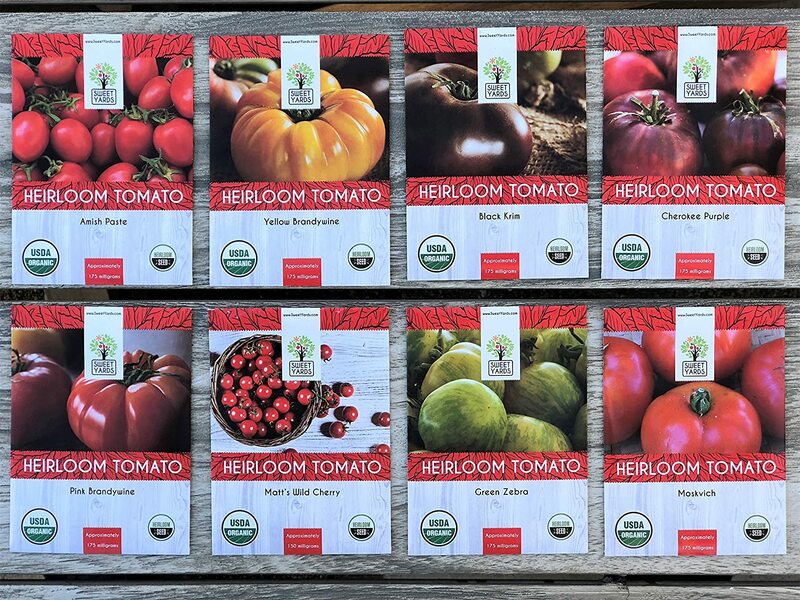 Heirloom Tomato Seeds Assortment – Eight Organic and Non-GMO Varieties: Brandywine, Cherokee Purple, Black Krim, Green Zebra, Amish Paste, Moskvich, Yellow Brandywine, Matt’s Wild Cherry Tomatoes are technically a fruit, even though we use it as a vegetable. Some like to argue that to death. But regardless of what they actually are, we can all agree that tomatoes are very versatile and delicious! 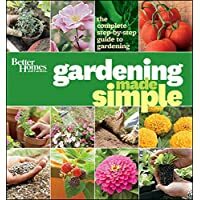 With so many varieties to choose from, you’ll be amazed at how rewarding planting tomatoes can be. heirloom tomatoes are meaty, juicy and delicious! They come in many great colors and tastes, from sweet to tangy. dozens of other varieties with their own flavor profile and soil and climate compatibility. Tomato Tip: tomatoes will keep growing till late into the season. Use the green tomatoes at the end of the season for pickling and making sauces. So easy to grow and multiply, and so delicious! Plant these along a fence, and enjoy lots of yummy berries. Make sure to save some for winter. You can add them to your cereal, in smoothies, and make desserts that the whole family will love. 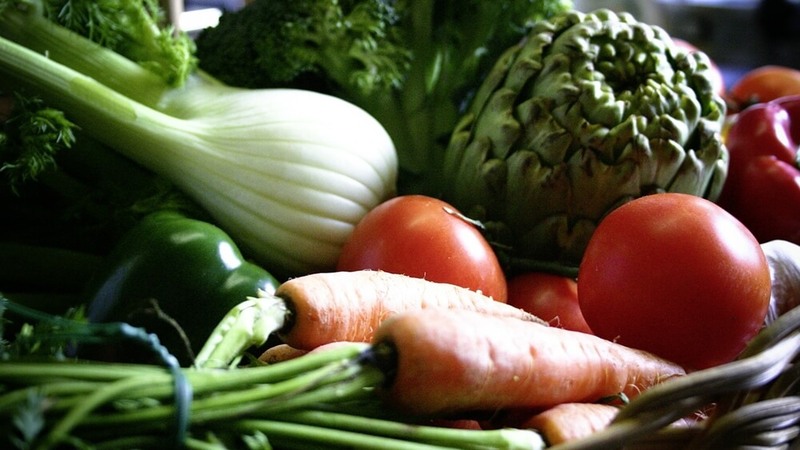 These fruits and veggies are not the only ones great for homesteading beginners and preppers. Depending on climate, soil condition and other factors, other fruits and veggies like squash, Brussels sprouts, sweet potatoes (you can eat the leaves!) and leafy greens would be smart choices too. Now that we know how to grow the best fruits and veggies, we need to make making sure the kids won’t be picky eaters. Teach them to enjoy what you harvest from the garden, by involving them in the growing process. Otherwise, all these preparations would be in vain. What fruits and veggies do YOU find it easy to grow? Don’t be shy! 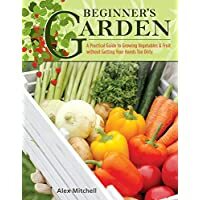 Share some gardening tips and tricks as well as some local fruits and veggies that grow best in your area. Like what you read? Please share with your loved ones and friends. Sharing shows you care for them! For more homesteading tips and SHTF prepping updates, like us on Facebook.